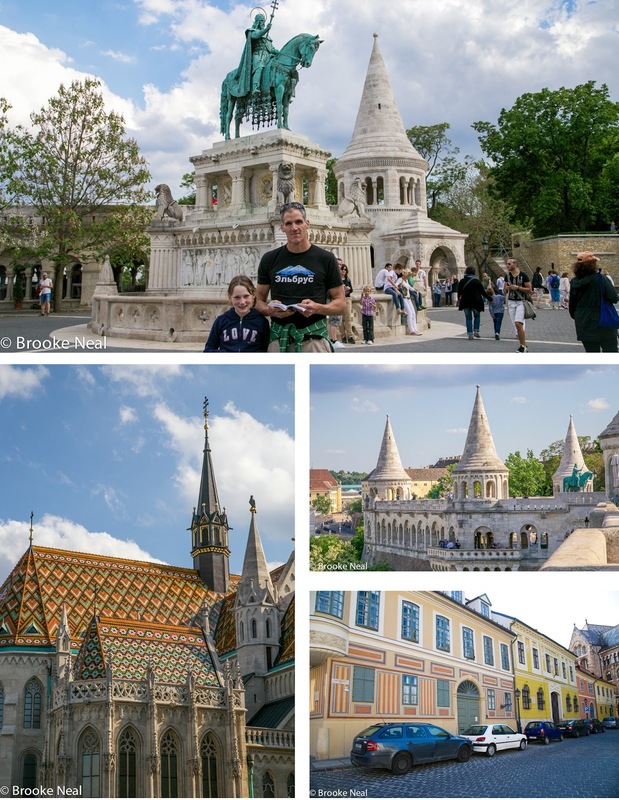 We first fell in love with Budapest back in 2012 when Bob ran a marathon there. With only a short weekend and a full day taken up to the race we didn't get to see as much as we wanted, specifically, we didn't even step foot on the Buda side. 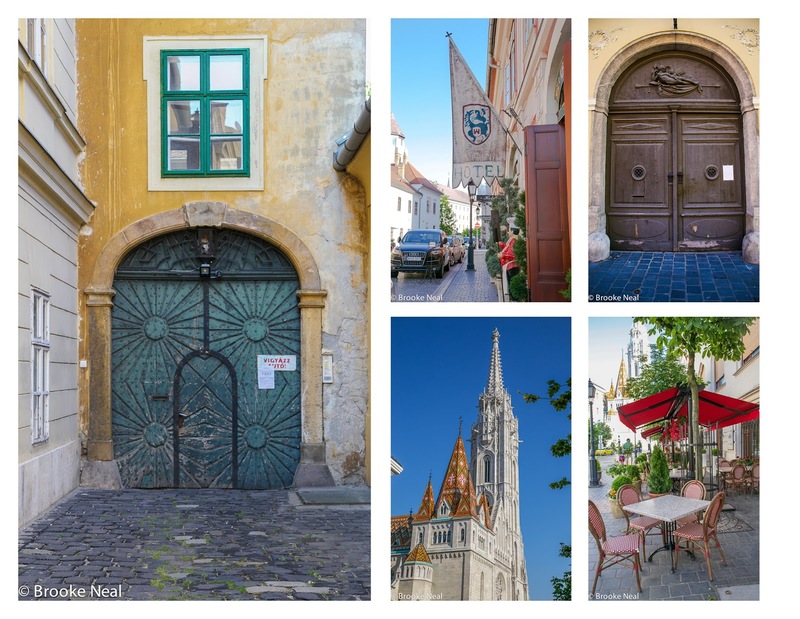 Shortly before leaving Germany we took a trip back with the intention of exploring Buda. With fabulous turn of the century architecture just walking the streets is a fantastic feast for the eyes. 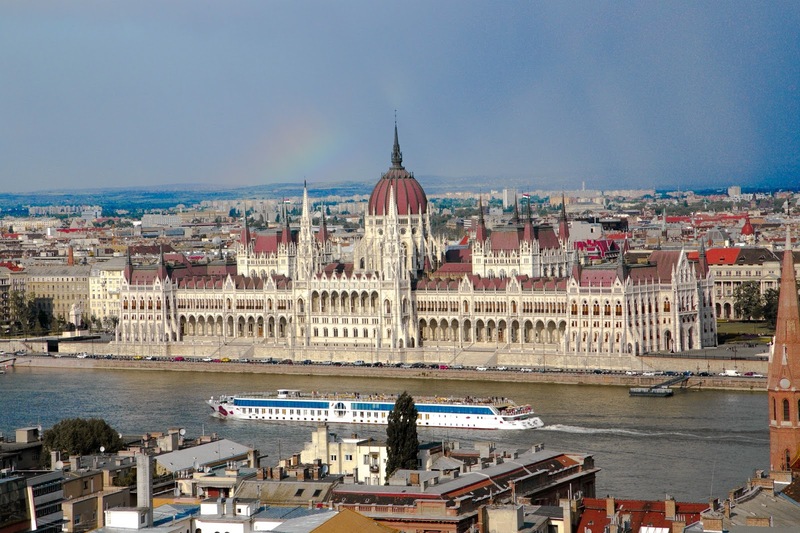 The iconic Parliament Building, situated on the Danube River, is best viewed from the Buda side at Fisherman's Bastion. Parliament is open for tours, (click here for ticketing information), but I'll be danged if we didn't visit on the day of a G8 summit and tours were suspended. The Buda side is hilly--there are two ways to get to the top; the funicular or your two feet via an established path. After crossing the Chain Bridge both are at the base of the mount. Once on top you will find Trinity Square which is home to the 13th century church, St. Matthais and Fisherman's Bastion. The turrets of the Bastion are fantastically photogenic and offer great views of Pest. St. Matthais Church has undergone much restoration. During its 500 year history its been the sight of royal marriages and coronations, it was converted into a mosque during the Ottoman occupation and served as German and Russian camps during World War 2. What you see today is a restoration to its Gothic roots. The church holds nightly concerts perfect for weary travelers who want a bit of culture without the stuffiness of a dress code. 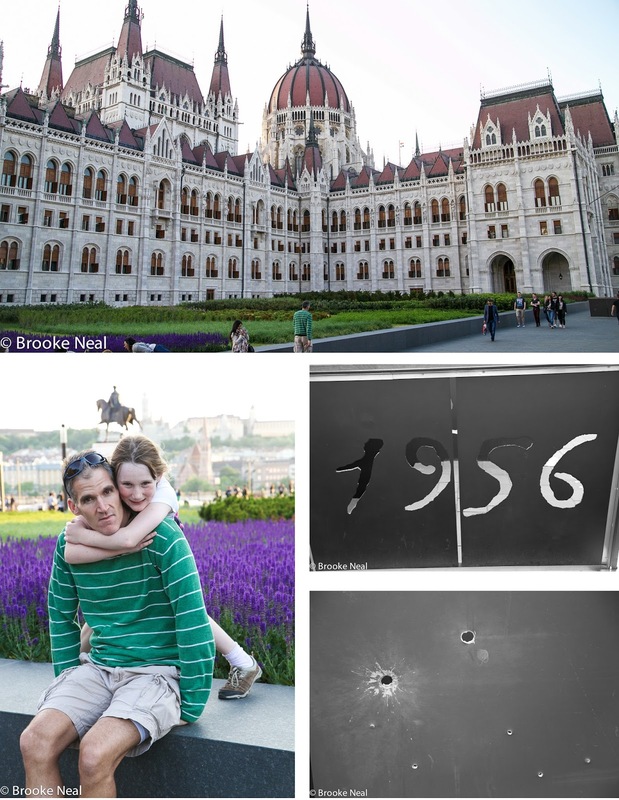 Back on the Pest side there is loads of history to experience. The bronze shoes next to the river commemorate Jewish citizens who were shot and allowed to fall into the river. The 1956 plaque with bullet holes is from the civilian uprising against the Communist Regime. It ended in bloodshed, but eventually the Hungarians would win their freedom. While walking we came upon a Medieval games festival. 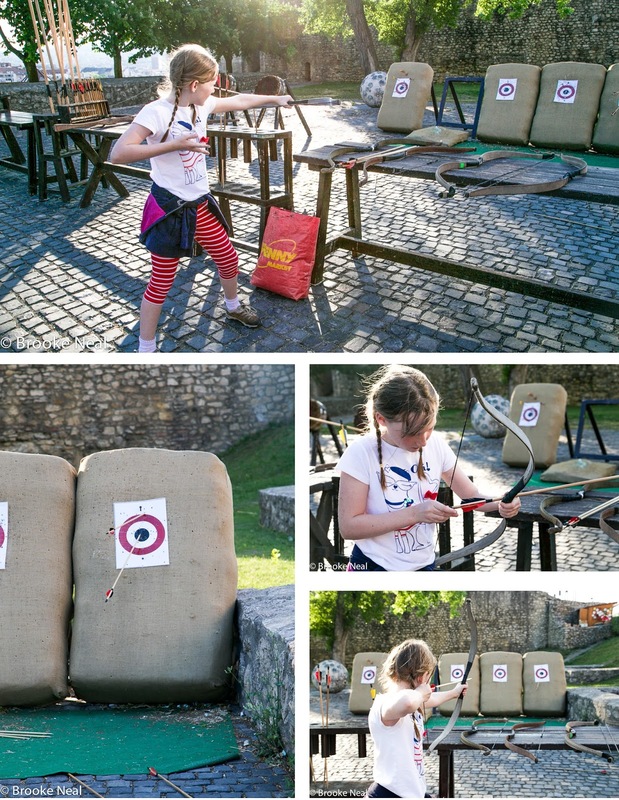 Eden tried her hand at the bow and arrow shoot and wasn't too bad. Budapest is a great walking city. From Hapsburg inspired architecture to a long fascinating history, shopping and cultural arts, there is something to please everyone. 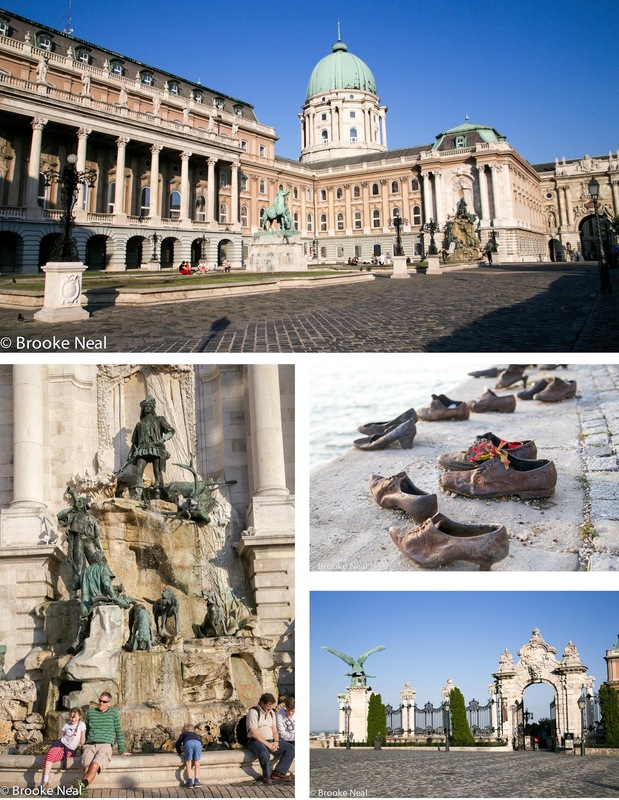 Great collection of Budapest photographs! 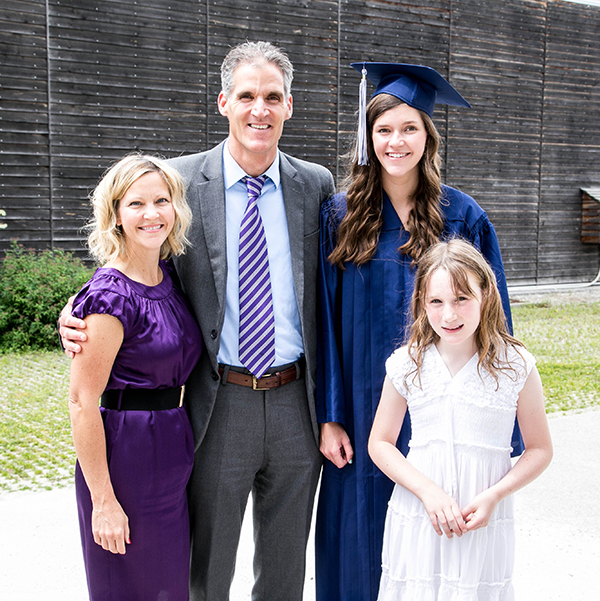 Love the picture of hubbyand daughter with the sea of purple flowers! Isn't it a great city! You have seen and created so many memories of beautiful places. Happy Thanksgiving. 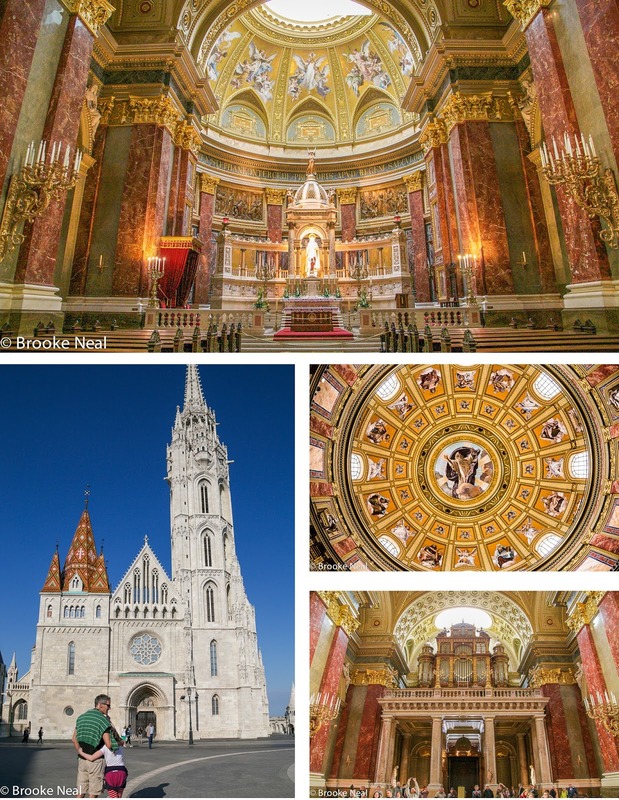 What beautiful pictures of Budapest you have given us today. The architecture is amazing. The shot of your daughter with Daddy is just so precious. Some great photos of a city near and dear to my heart!